Jim Dodson Law supports and works with many Florida cycling clubs to help educate the cycling community and make sure the voice of the cycling community is heard statewide. Throughout the year we sponsor various cycling events to provide information and safety resources to cyclists so they are prepared in the event of a bicycling accident. We are proud to call the following cycling clubs our friends and partners in safe cycling. We hope to continue building more relationships in order to reach as many cyclists as possible in the community in our pursuit of making Florida roads a safer place to ride. Our advocacy doesn’t end with cyclists. Jim routinely speaks about the importance of UM at charitable organization and business meetings. He makes a point to let people know of cyclists’ rights and the obligations of drivers to give at least three feet of space when passing. Below, you will find some of our favorite groups with which to ride and collaborate. If you would like to see your organization featured on this list, contact our office to discuss a live presentation by Jim or to have him join along on a group ride. CAAM Events offers exciting bike events across the USA. CAAM members receive perks such as discounts on event registrations for their cycling events which often support philanthropic causes. We are proud to be a CAAM Events sponsor and enjoy participating in their rides including the Flagler Fondo and the Ride Rock and Roll. The Caloosa Riders is a family of cyclists in Southwest Florida made up of a wide range of riders from various ages and backgrounds. Since 1988 they share a common enthusiasm and love for cycling and advocate for improved cycling facilities. They welcome new members who have an interest in participating in weekly rides, road races and charity cycling events throughout Lee County. 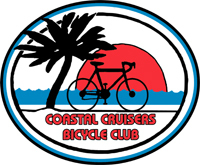 The Coastal Cruisers have been around for over thirty years and have over 500 friendly members. Their organized rides generally extend throughout Sarasota and Charlotte Counties that include safe and scenic roadways in the communities of North Port, Port Charlotte, Rotonda, Englewood, Venice and Nokomis. The Florida Freewheelers is a cycling club based in Central Florida with more than 700 members who cycle for recreation, fitness and sport. The club has cyclists of all ages and skill levels that ride road bikes, hybrids, mountain bikes, tandems and recumbents. They offer several different types of scheduled rides so that members can choose the best ride for them. The Highlands Pedalers is a cycling club for the Sebring, Avon Park and Lake Placid communities of Highlands County. This club provides regular weekly rides, cycling events, social events, a time travel series, a youth triathlon team and other membership benefits. They also advocate and support ideas and projects to encourage cycling safety. The North Florida Bicycle Club seeks to foster camaraderie and safe bicycling in northeast Florida. NFBC began in the 1970’s as a racing club and evolved over the years into a social club. NFBC has become one of the largest bicycling clubs in Florida, well known for their rides, cycling advocacy,education, and Charity Ride and Travel Teams. 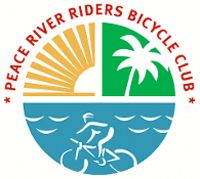 In early 2009, Peace River Riders was established in Charlotte County in Charlotte County among surrounding communities such as Punta Gorda and Port Charlotte and nestled around the beautiful Peace River. Local cyclists organized the club to create a cycling climate that caters to all groups of riders, from the novice to the experienced riders, from short distance to long distance touring. 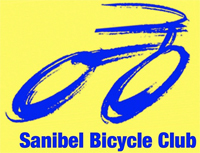 The Sanibel Bicycle Club was formed in 1994 and includes several hundred members. Their mission is to promote cycling for recreation, transportation and health; to advocate for improvements in the safety and infrastructure of Sanibel’s shared-use path system; and to provide an opportunity for cyclists to ride and socialize together. 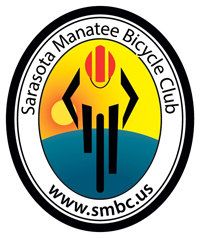 The Sarasota Manatee Bicycle Club was founded in 1974 as the Sarasota Bicycle Club and then merged with the Manatee Bicycle Club in 1989. The club is dedicated to cycling for recreation, fitness, exercise, sport and transportation. They offer rides for all skill levels to members and non-members alike. The SMBC takes an active role in the Sarasota-Manatee area to further the interests and safety of all cyclists and to the improvement of bike infrastructure. The St. Petersburg Bicycle Club was established in 1968 as a non-profit, social and recreational club that promotes safe cycling opportunities to both club and non-club members. They offer rides, planned activities and events for all skill levels and ages. 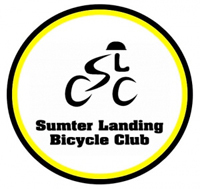 Sumter Landing Bicycle Club is located in the central Florida retirement community of The Villages. As of mid-2017 their club includes 750 members. They offer group rides from May 1st to September 30th at 8am. and from October 1st to April 30th at 9am. On Mondays, Wednesdays and Saturdays the rides start at Barnes & Nobles in Lake Sumter Landing. And, then on Tuesdays and Fridays they start at the Bradenton Recreation Center on Pinellas Place. The Suncoast Cycling Club is a social group dedicated to the fun sport of cycling in the North Pinellas County of Florida. They encourage group cycling and promote education, safety and public awareness of road cycling through planned rides and other cycling activities. Suncoast Cycling is also active in supporting and participating local charities, community events and local charity rides. 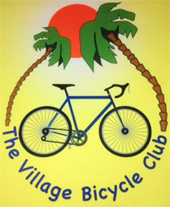 The Village Bicycle Club is a resident-only cycling club located in The Villages retirement community. They offer daily bike rides for all skill levels. The main rides are on Tuesday, Thursday and Saturday and visitors are welcome but must be 18 years or older. Club meetings are for residents only. 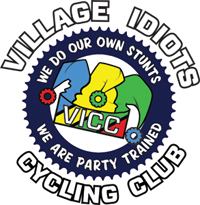 The Village Idiots is a cycling club located in the Sarasota/Manatee area that is dedicated to both serious and recreation cycling enthusiasts. They are a USA Cycling registered club consisting of a wide range of riders of various ages, background and professions who share a common love for cycling. Their goal is to train new cyclists, grow the skills of their club and race participants to be cycling advocates in the community, and to benefit from a variety of local charities.